Within the European Union, the 1520 mm track gauge is in use in Finland, Latvia, Lithuania, Poland and Slovakia. Some of these countries apply both the UIC and the OSJD rules, particularly for the purposes of East-West transit traffic for freight. For traffic operating between different systems, vehicles must satisfy the rules of UIC and OSJD. These vehicles and their components must be approved against the UIC and OSJD rules from a technical and operational point of view. Here, the relevant technical and operational regulations of UIC leaflets in the 400, 500 and 800 series, OSJD (leaflets, GOS) and the EU regulations (TSI, EN) will be of significance. To reduce the time requirement and associated high costs of approval and certification in third countries, procedures must be developed to permit a simplified or common approval and/or certification regime. The present report provides an analysis of existing approval and certification procedures for vehicles with automatic gauge changeover systems and fixed gauge changeover facilities. The authorities or entities in charge of approval and the documents to be submitted to these bodies are listed in the report. In addition, a proposal is made for a common approval procedure for gauge changeover systems (vehicles and fixed facilities). 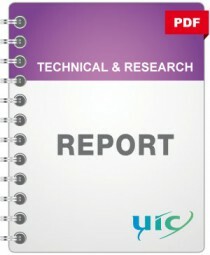 This report is the output of Sub-Task 5 (of 5 Sub-Tasks in total) as part of the "Automatic Gauge Changeover Systems" project.